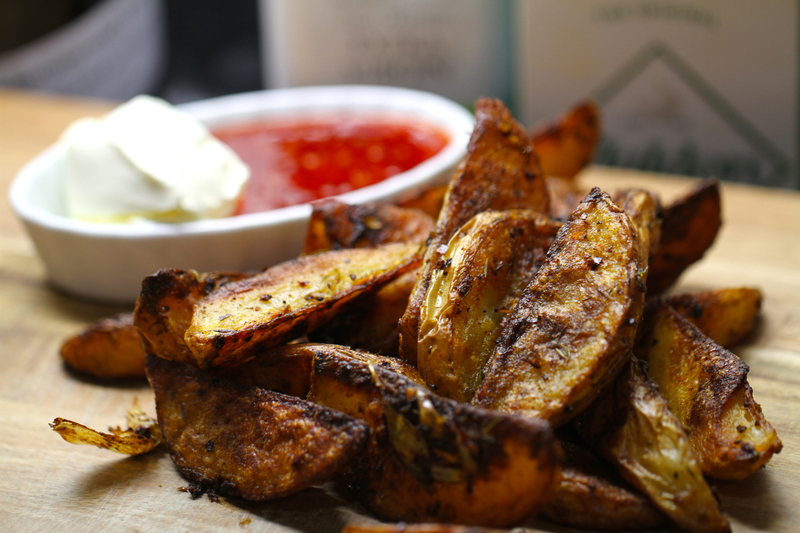 Ok so the best wedges?…maybe. I think I may have made the slightly too spicy as my mouth is still on fire so maybe put less chilli in than I did. 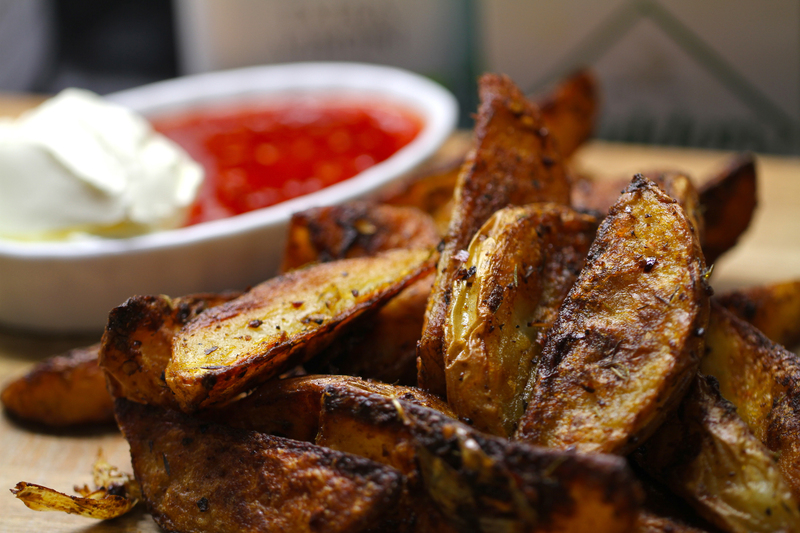 These do take some time so don’t cook these if you want a quick wedge. I’m a believer that the slower you cook a potato the better it tastes. Also I have the worst oven in the entire world. There appears to be some kind of myth knocking around that our oven can defy the laws of physics. And it seems to be able to impart that knowledge through some sort of telepathy or the force or something. It keeps making us think that it’s actually hotter at the bottom, that it somehow manages to make heat sink rather than rise. This has resulted in many burnt pies, cakes and gingerbread ninjas. Anyway everyone in my house now understands the oven and is ready for its tricks. The only way I can cook in it is to put it on the lowest temperature which says it’s 120°C (a downright lie) and put it on the bottom shelf of the oven. If it goes to the top of the oven, especially on the left it will incinerate anything in a matter of minuets. So to the wedges. Now all of our spices are in cute little jars. Unfortunately we put them in and didn’t label them so what I used for these wedges is a bit of a mystery but I’m pretty sure I’ve worked it out. You will need. Potatoes – King Edwards or maris piper are good for this but use whatever you can get or afford. For the dip use what you want. My roast pepper and tomato dip would work a treat. I was in the mood for sour cream and sweet chilli. Awesome! 1. 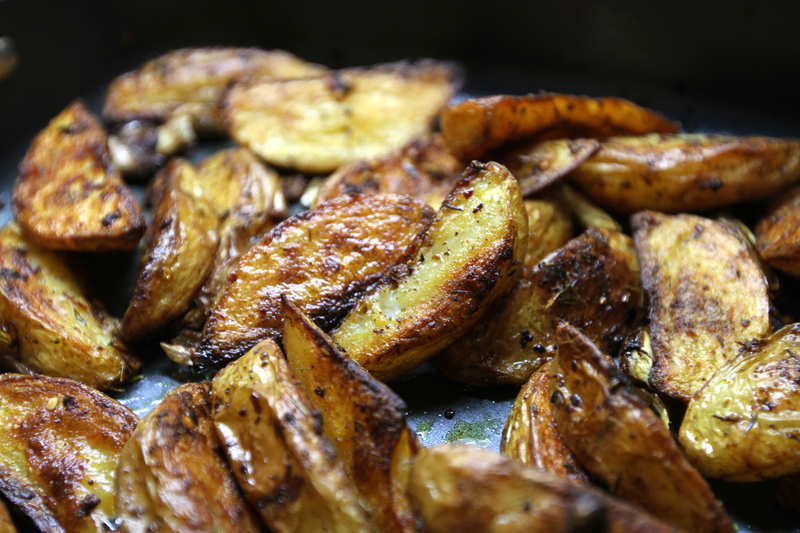 So slice your potatoes into wedge shapes and put in a nice oven roasting pan. Drizzle over the olive oil and give a good mix. 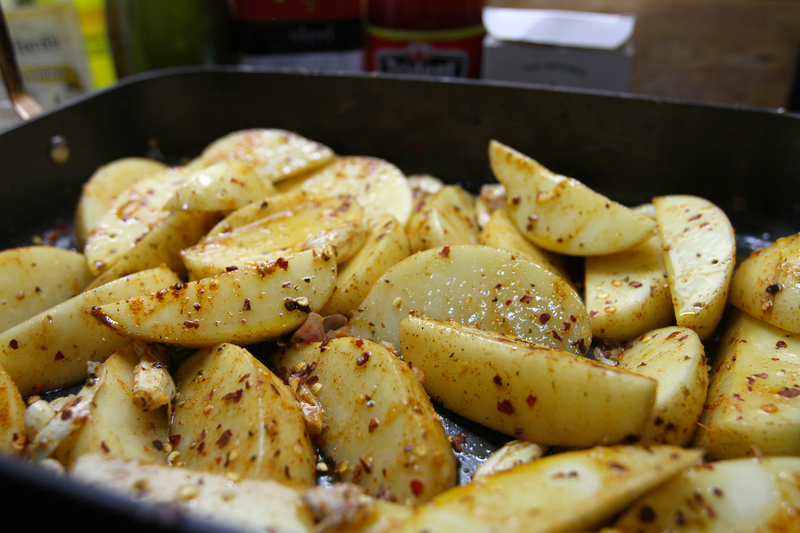 Now add a good pinch of salt, pepper, paprika, cumin, curry powder and the chilli flakes. Add a very small pinch of cayenne pepper. Now get about 6-7 cloves of garlic skin on and smash them with the side of your knife and chuck them in and give a good mix up. 2. pop in the oven on about 150- 160°C (for normal ovens). Give them 30 mins then give them a mix very carefully. Give them another 30 mins then another careful mix then a final 30-40 mins. They should end up looking like this. serve with the dip of your choice.